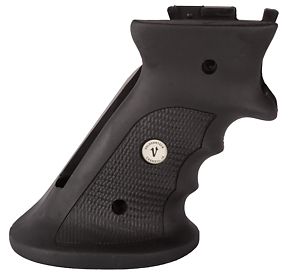 The Volthance Target grips feature thumbrest, heelrest and finger grooves. Designed to give the shooter a relaxed, steadier hold. Comfortable molded rubber grip comes complete with four allen head screws and washers. Available in either Right Hand or Left Hand model.